Lots of OpenQuest goodness just released! Satisfied, victorious, warm and cuddly are all terms I would use to describe how I’m feeling at the moment. Why? 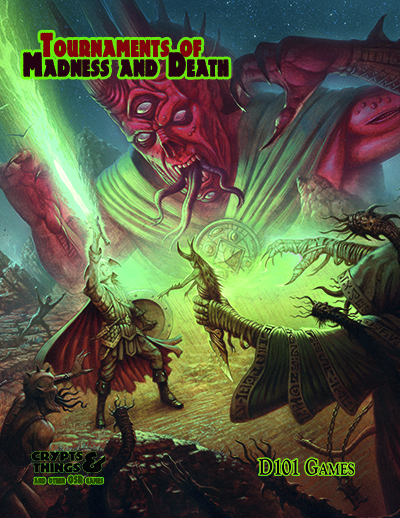 Well a big chunk of OpenQuest releases went live on DriveThruRPG.com for you good folk to buy yesterday. Life and Death: An expanded version of my post-apocalyptic fantasy setting now with three adventures (The Dust of Eternity, Dead Pot Country and Life & Death), more ready made concepts and details of the Guild of Treasure Hunters. Also completely playable with both OpenQuest Basic Edition or Deluxe Edition. OpenQuest Basic Edition: A short concise no art version of the game in 6 x 9 inch format, available as a free pdf or low cost book. Ideal as quick reference version, a try before you buy OpenQuest Deluxe, or as a self contained game. The Savage North (Directors Cut): Back on sale now after a quick spell offline as a missing map was replaced. PLEASE NOTE: If you bought a printed copy of The Savage North before I took it off line to replace the map, please send me your DriveThruRpg.com receipt to newt@d101games.com and I will send you a replacement free of charge. So now there’s no reason not to give OpenQuest a whirl.